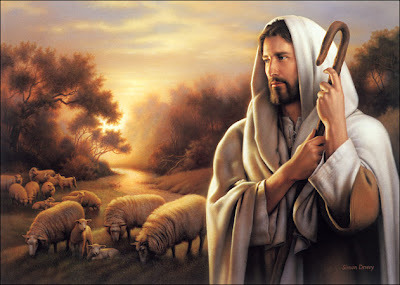 16 I have other sheep that are not of this sheep pen [the non-Jews] . I must bring them also. 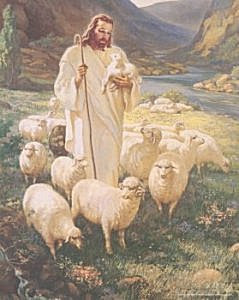 They too will listen to my voice, and there shall be one flock and one shepherd. 18 No one takes it from me, but I lay it down of my own accord. I have authority to lay it down and authority to take it up again. This command I received from my Father." . . . .
1 Comfort, comfort my people, says your God. . . .
5 And the glory of the LORD will be revealed, and all mankind together will see it. For the mouth of the LORD has spoken." . . .
2 "This is what the LORD, the God of Israel, says: 'Write in a book all the words I have spoken to you. 3 The days are coming,' declares the LORD, 'when I will bring my people Israel and Judah back from captivity and restore them to the land I gave their forefathers to possess,' says the LORD." 1 "At that time," declares the LORD, "I will be the God of all the clans of Israel, and they will be my people." 2. This is what the LORD says: "The people who survive the sword will find favor in the desert; I will come to give rest to Israel." 4 I will build you up again and you will be rebuilt, O Virgin Israel. Again you will take up your tambourines and go out to dance with the joyful. 5 Again you will plant vineyards on the hills of Samaria; the farmers will plant them and enjoy their fruit. 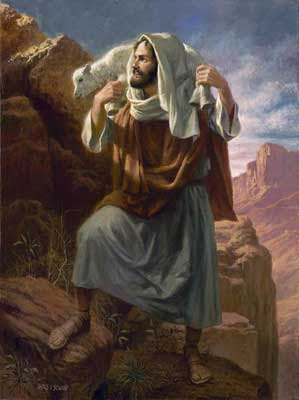 6 There will be a day when watchmen cry out on the hills of Ephraim, 'Come, let us go up to Zion, to the LORD our God.' "
8 See, I will bring them from the land of the north and gather them from the ends of the earth. Among them will be the blind and the lame, expectant mothers and women in labor; a great throng will return. 9 They will come with weeping; they will pray as I bring them back. I will lead them beside streams of water on a level path where they will not stumble, because I am Israel's father, and Ephraim is my firstborn son. 11 For the LORD will ransom Jacob and redeem them from the hand of those stronger than they. 12 They will come and shout for joy on the heights of Zion; they will rejoice in the bounty of the LORD— the grain, the new wine and the oil, the young of the flocks and herds. They will be like a well-watered garden, and they will sorrow no more. 14 I will satisfy the priests with abundance, and my people will be filled with my bounty," declares the LORD. 15 This is what the LORD says: "A voice is heard in Ramah, mourning and great weeping, Rachel weeping for her children and refusing to be comforted, because her children are no more." 16 This is what the LORD says: "Restrain your voice from weeping and your eyes from tears, for your work will be rewarded," declares the LORD. "They will return from the land of the enemy. 17 So there is hope for your future," declares the LORD. "Your children will return to their own land. 18 "I have surely heard Ephraim's moaning: 'You disciplined me like an unruly calf, and I have been disciplined. Restore me, and I will return, because you are the LORD my God. 20 Is not Ephraim my dear son, the child in whom I delight? Though I often speak against him, I still remember him. Therefore my heart yearns for him; I have great compassion for him," declares the LORD. 21 "Set up road signs; put up guideposts. Take note of the highway, the road that you take. Return, O Virgin Israel, return to your towns. 22 How long will you wander, O unfaithful daughter? The LORD will create a new thing on earth— a woman will surround a man." 25 I will refresh the weary and satisfy the faint." 27 "The days are coming," declares the LORD, "when I will plant the house of Israel and the house of Judah with the offspring of men and of animals. 28 Just as I watched over them to uproot and tear down, and to overthrow, destroy and bring disaster, so I will watch over them to build and to plant," declares the LORD. 32 It will not be like the covenant I made with their forefathers when I took them by the hand to lead them out of Egypt, because they broke my covenant, though I was a husband to them, " declares the LORD. 34 No longer will a man teach his neighbor, or a man his brother, saying, 'Know the LORD,' because they will all know me, from the least of them to the greatest," declares the LORD. "For I will forgive their wickedness and will remember their sins no more." 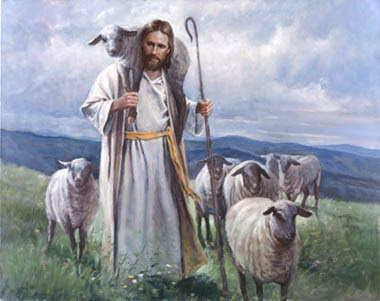 11 " 'For this is what the Sovereign LORD says: I myself will search for my sheep and look after them. 17 " 'As for you, my flock, this is what the Sovereign LORD says: I will judge between one sheep and another, and between rams and goats. 20 " 'Therefore this is what the Sovereign LORD says to them: See, I myself will judge between the fat sheep and the lean sheep. 23 I will place over them one shepherd, my servant David [Jesus descented from the line of David], and he will tend them; he will tend them and be their shepherd. 25 " 'I will make a covenant of peace with them and rid the land of wild beasts so that they may live in the desert and sleep in the forests in safety. 26 I will bless them and the places surrounding my hill. I will send down showers in season; there will be showers of blessing. 27 The trees of the field will yield their fruit and the ground will yield its crops; the people will be secure in their land. They will know that I am the LORD, when I break the bars of their yoke and rescue them from the hands of those who enslaved them. 30 Then they will know that I, the LORD their God, am with them and that they, the house of Israel, are my people, declares the Sovereign LORD. 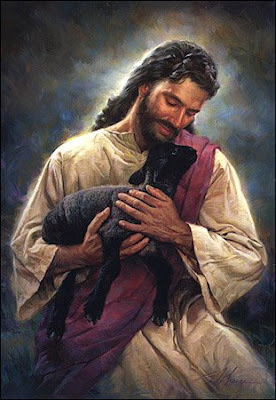 31 You my sheep, the sheep of my pasture, are people, and I am your God, declares the Sovereign LORD.' "
21 and say to them, 'This is what the Sovereign LORD says: I will take the Israelites out of the nations where they have gone. I will gather them from all around and bring them back into their own land. 23 They will no longer defile themselves with their idols and vile images or with any of their offenses, for I will save them from all their sinful backsliding, and I will cleanse them. They will be my people, and I will be their God. 24 " ' My servant David will be king over them, and they will all have one shepherd. They will follow my laws and be careful to keep my decrees. 25 They will live in the land I gave to my servant Jacob, the land where your fathers lived. They and their children and their children's children will live there forever, and David my servant will be their prince forever. 28 Then the nations will know that I the LORD make Israel holy, when my sanctuary is among them forever.' 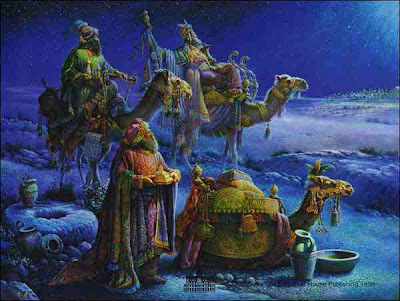 "
6 " 'But you, Bethlehem, in the land of Judah, are by no means least among the rulers of Judah; for out of you will come a ruler who will be the shepherd of my people Israel. '[ See Micah 5: 2-4 ]"
9. . . you are a chosen people, a royal priesthood, a holy nation, a people belonging to God, that you may declare the praises of him who called you out of darkness into his wonderful light. 12 Live such good lives among the pagans that, though they accuse you of doing wrong, they may see your good deeds and glorify God on the day he visits us. . .
20 . . . if you suffer for doing good and you endure it, this is commendable before God. 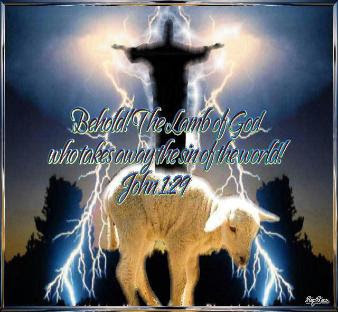 25For you were like sheep going astray, but now you have returned to the Shepherd and Overseer of your souls. 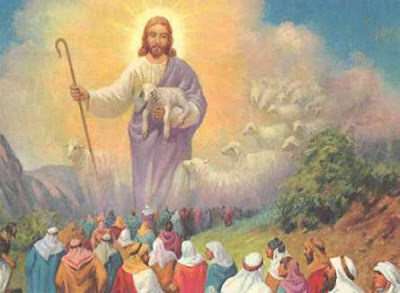 9 After this I looked and there before me was a great multitude that no one could count, from every nation, tribe, people and language, standing before the throne and in front of the Lamb [ See John 1 : 29 Jesus is the Lamb of God who takes away the sin of the world ! ] . They were wearing white robes and were holding palm branches in their hands. And he said, "These are they who have come out of the great tribulation; they have washed their robes and made them white in the blood of the Lamb. 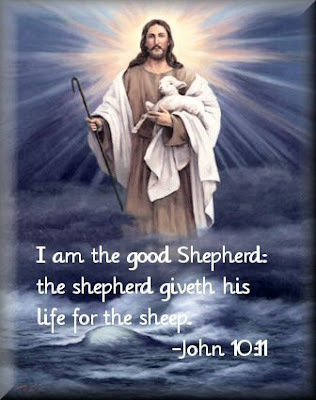 17 For the Lamb at the center of the throne will be their shepherd [Jesus is both the sacrificial Lamb as well as the Shepherd! - Praise GOD ! ]; he will lead them to springs of living water. And God will wipe away every tear from their eyes."